This will allow count files(s) to be created and give an immediate onscreen variance. Counts are then posted to receipt and the GL. This includes the ability to count and adjust serial/lot numbered items. This feature, now added to Sales Order/Invoicing, allows the user to edit the journal entry before posting. We also added a setting so that this can be turned on/off for each user in each module. If these 2 setting are off the user just has a plain ‘Post’ button. or in the case of sales orders a plain “Invoice button. 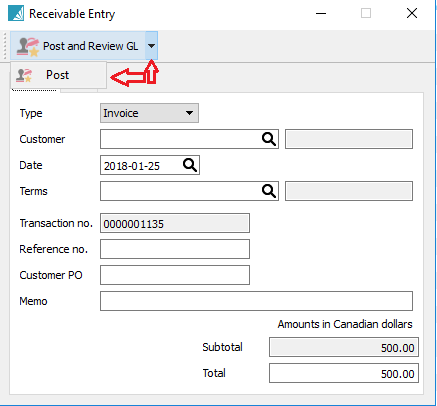 If the user has “Modify GL Transaction by Default” on then the button says ‘Post and Review” and by selecting the down arrow on the button the user can post without review. ROEs can be created with Spire and then uploaded to CRA via ROEWeb. There will be no support for printed ROEs as these are being phased out by Service Canada. Legacy reports are those using the legacy view for Pervasive reports. Please note that support for the legacy view will be dropped in Spire 3.0. 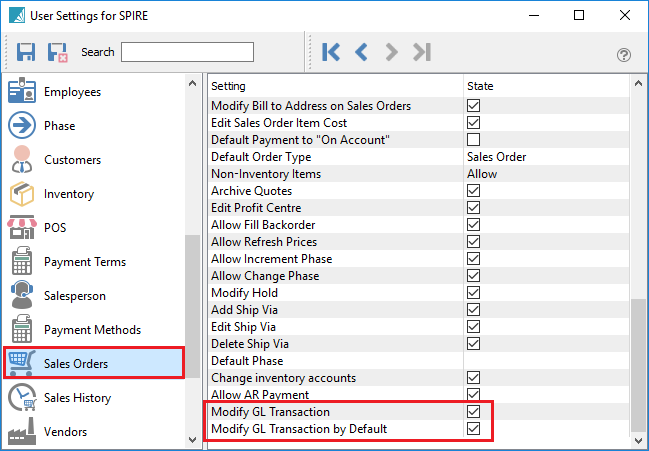 This reminder will ensure that all legacy reports get updated before a user converts to Spire 3.0.